St. Paul's Wooburn has been part of the community since the 12th century, although the building as it stands today is mainly the work of the Victorians as the church was heavily restored in the mid 1850's. 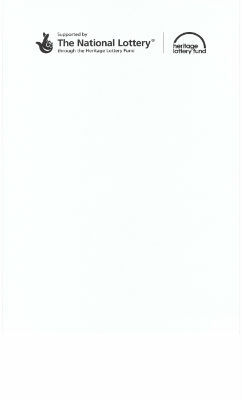 In 2011, while undertaking some minor re-decoration in the church we investigated a water stain by some high level windows and what we were told was devastating. Water had been coming into the building for many years and had caused damage to the oak roof beams and we had also been attached by Death Watch Beetle which further damaged the wood. At first we thought we could repair the cracks in the aluminium roof and around the guttering, but after a full investigation in April 2013 it became clear that we needed to replace the entire roof. St. Paul's Church is a Grade 11* listed building so we had to contact English Heritage to let them know what we had discovered. English Heritage placed the building on their 'At Risk' Register and we were told that the roof could be at danger of collapsing sometime over the next 10 years if we did nothing. Doing nothing was never an option. St. Paul's is a building that is loved by both the church and local community - it holds a very special place in our hearts, so we set about raising the funds to have this essential work done. 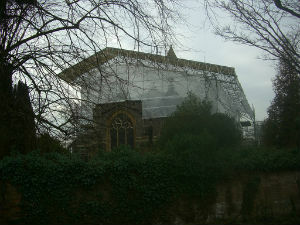 We were told the cost of re-roofing the church would be about £400,000 - a massive amount of money to find. With the help of advisers such as our architect, the Oxford Diocese and English Heritage themselves we put together a plan to ensure that we could all continue to enjoy St. Paul's Church in the future. We have been very fortunate to secure major backing from the Heritage Lottery Fund, firstly with a grant of £23,000 to carry out the full investigation and then with a further £244,700 to help with the repair work. We also received grants from other organisations, and we are extremely grateful to all of these. As members of the church we have been astounded by the generosity of the local community, and we have received many many donations from local residents and from people who have a family connection with the church. The church has also carried out its own fundraising over the last few years, and the church, the wider community and various grant making bodies have collectively raised the necessary funds to enable us to protect St Paul's. We 'handed' the building over to our main contractors in October 2015 at which time the church was closed - with services carrying on as normal in the Church Hall next door. 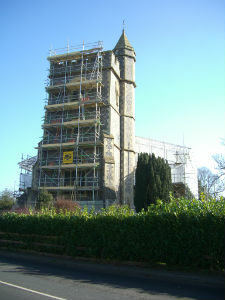 The builders had to put up a large scaffolding structure over the entire church to form a temporary roof, and due to a very windy November this took longer than anticipated. 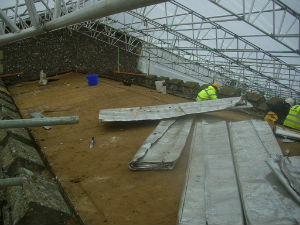 Over the course of the next few months the old aluminium roof was removed, roof beams were repaired and a new stainless steel roof put on. The builders described one roof beam as 'having the structural integrity of softened butter' and this was replaced. 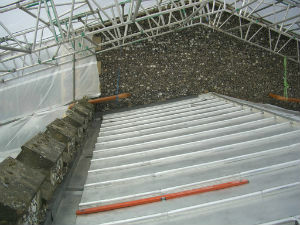 Repairs were also carried out to the tiled vestry roof and to some of the high level stonework. To finish off the job all the external gutters were repaired and repainted, the tower roof was also replaced and the flagpole secured. At the beginning of May 2016 the work was completed, and we moved back into the church. If you would like to get more involved with the ongoing upkeep of St. Paul's please go to the 'Friends of Wooburn Parish Church' page on the web-site.